Set the scene for the best Christmas ever with our artificial moss. It’s fantastic for providing a canvas for your festive scenes and decorations. Our soft and highly realistic artificial moss is perfect for Yuletide floral arrangements and nativity scenes. For an extra festive touch, why not sprinkle our natural-looking moss with a pinch of faux snow? With each artificial moss roll measuring 30cm in width, you’ll have plenty of pretty green moss to create your Christmas masterpiece! 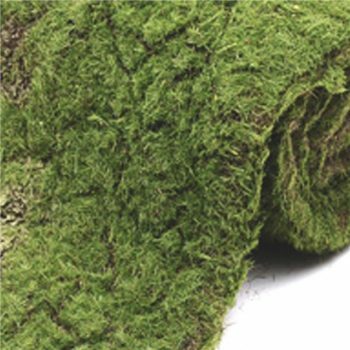 Our fake moss is suitable for both indoor and outdoor use in all weathers. This product is versatile, durable and incredibly flexible. Create charming Chrismassy interiors and displays with high quality artificial moss. It’s perfect for nativity scenes, Christmas grottos and beautiful decorations. From Yuletide interior décor for your home, to stunning creations for your church or special Christmas event. Our artificial moss makes the perfect canvas and finishing touch for your festivities. What will you create this holiday season? Do you have any queries about our Christmas moss? At Shelf Edge our festive elves are always ready to help. Get in touch today on 01234 888789. Alternatively, place your order online for fast UK delivery with a 100% customer satisfaction guarantee and a seven day return policy – allowing you to order in complete confidence.